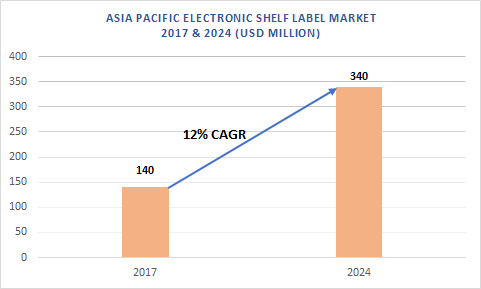 Asia Pacific Electronic Shelf Label (ESL) Market size exceeded USD 140 million in 2017 and is projected to grow at over CAGR of 12% from 2018 to 2024. The Asia Pacific electronic shelf label market is majorly driven by rapid development in the organized retail sector. 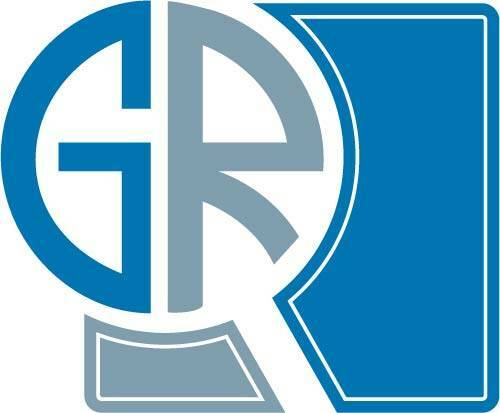 The organized retail is developing in countries including India and China due to cheap labor availability, growing presence of retail giants with the growing customer interest, buying behavior and easy availability of processing machinery at low prices. The growing establishment of new manufacturing facilities in the region accounts for creating high employment opportunities on a large scale further contributes to the Asia Pacific electronic shelf label market growth. Companies in the region promote export activities by providing their products to the other regional players and customers. Full graphic e-paper ESL in the Asia Pacific electronic shelf label market experiencing high growth. This is attributed to the rising usage of the technology to display product in the retail outlets to provide enhanced customer experience. Additionally, these products are energy efficient and pose low energy consumption benefiting the store owners in saving operational costs. High utilization of full graphic e-paper ESL products is due to their ability of graphical objects projection including logos further developing the electronic shelf label market. RF technology platform in the Asia Pacific electronic shelf label market is predicted to pose high growth over the forecast timespan. The platform provides ESL infrastructure advents of two-way communication along with electrical signage. Manufacturers are focusing on enhancing the ESL product features including satellite systems, remote sensing, scattering, and GPS wireless communications by integrating the RF technology platform in their product offerings. The non-food retail stores in the Asia Pacific electronic shelf label market has gained several growth opportunities in the recent years. Increasing demand in this sector is attributed to development in the consumer electronics, hospitality, and other major retail industries. The Asia Pacific electronic label shelf market is fueled by the high adoption of automation in non-food retail stores. Prominent players in the Asia Pacific electronic shelf label market comprise M2Communication Inc., Samsung Electro-Mechanics, E-Ink Holdings Inc., SES-imagotag, Teraoka Seiko, NZ Electronic Shelf Labelling, and Pricer. Major companies in the industry focus on developing and manufacturing new product in the region and exporting them to the North America and European countries.